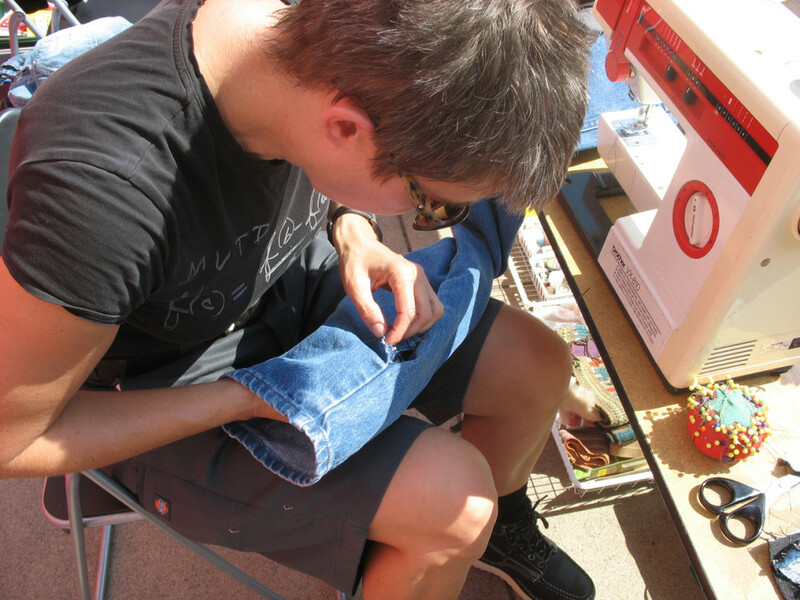 Details: Mary Beth Heffernan repairs a pair of jeans for an audience member/participant in Repair Shop. Repair Shop is a social practice project by Mary Beth Heffernan. I attempted to repair, at no cost, any item or problem brought to me. Curated by Stephen Van Dyck, "A Day in LA: Washington Blvd. Art Concert," was a day-long series of installations, interventions and performances along the east to west length of one of Los Angeles' longest boulevards.